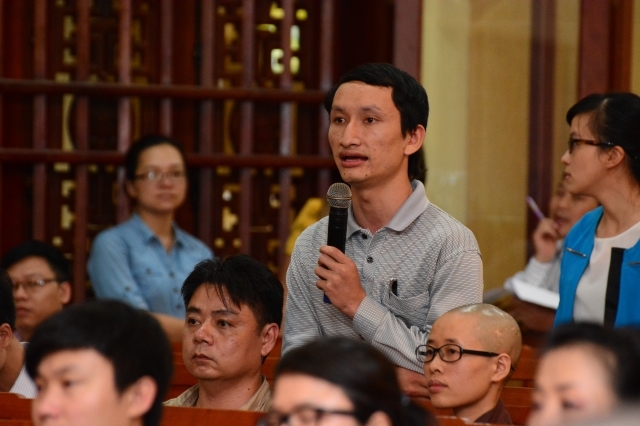 After reciting Buddha’s name for blessing, Most Ven. 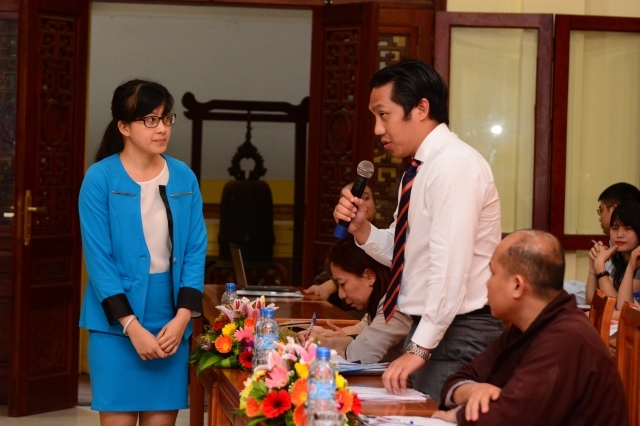 Thich Thanh Nhieu started the meeting with a short announcement. Most Ven. 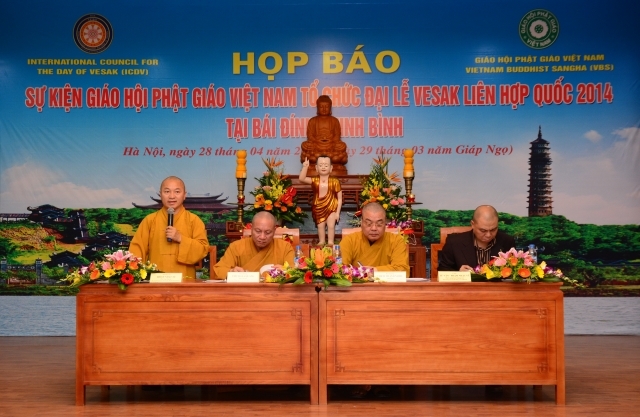 Thich Gia Quang explained that the organizing committee selected Bai Dinh Pagoda – Ninh Binh province to host the UNDV 2014 because this was once Hoa Lu Ancient Capital which Vietnamese people are always proud of. 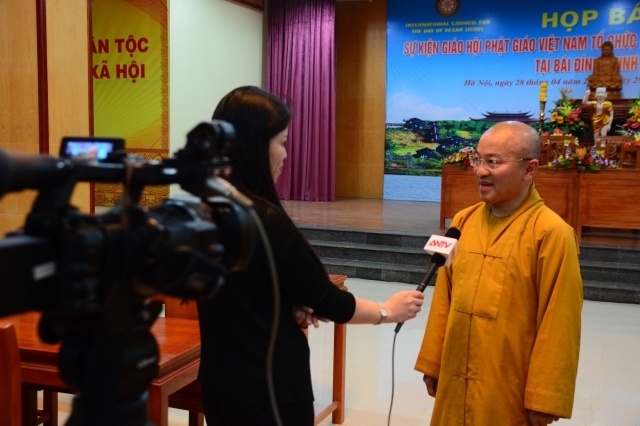 The Opening and Closing Ceremony of the UNDV 2014 will be broadcasted lively on Vietnam Television (VTV). 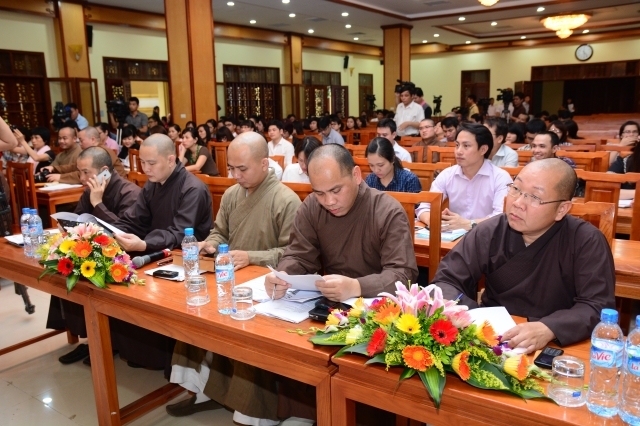 The organizing committee estimates an approximate number of 1500 representatives from more than 100 countries, some of whom are national leaders and leaders of international Buddhist organizations; 2000 domestic representatives including leaders of Vietnam Communist Party and Government, as well as venerables Monks and Nuns from the Supreme Patriarch and Executive Council, divisions, institutes of VBS, Executive Committee of provinces, cities, districts and towns across the country. 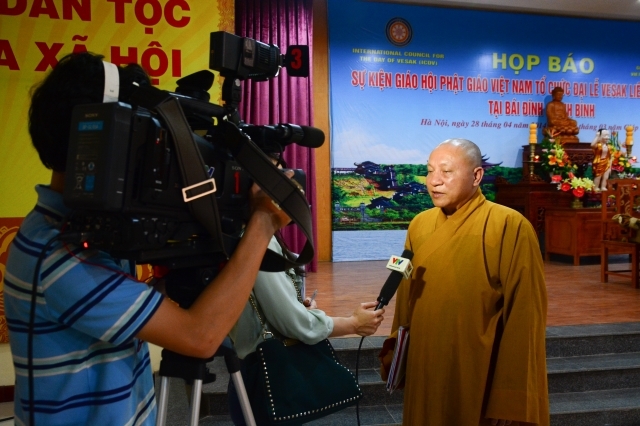 Especially, besides international conference and workshops, the organizing committee will also present a documentary film entitled “Vietnamese Buddhism and Vietnamese people in companion” in order for the Monks and Nuns as well as Buddhist followers to understand more clearly about the ups and downs of Vietnamese Buddhism in companion with Vietnamese people so far. 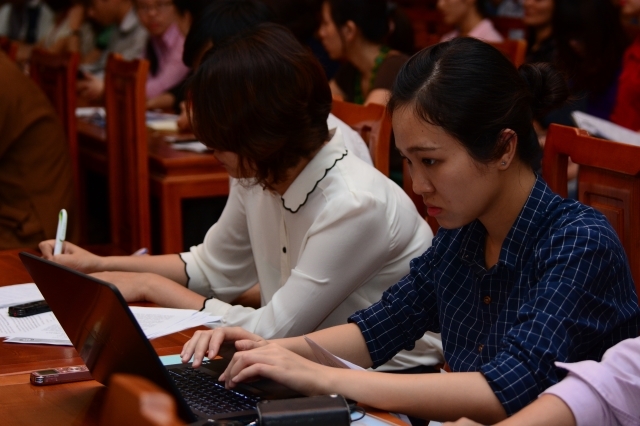 International Conference: Up till now, the organizing committee has received 300 manuscripts from scholars of 95 countries, in which 150 manuscripts will be selected and divided into 6 forums on May 7 and May 9 at the international conference halls of the UNDV. 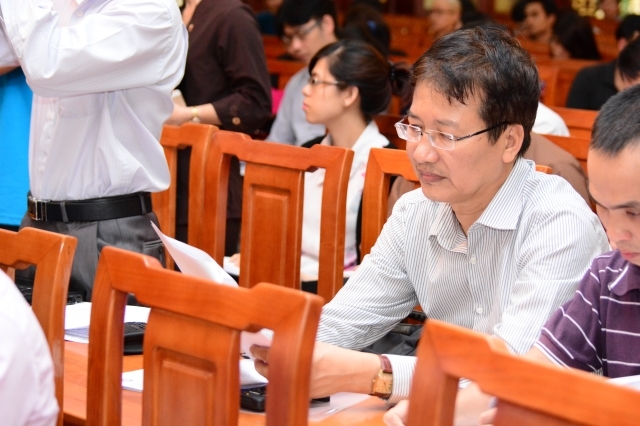 These manuscripts will be published in Vietnamese and English in two separate proceedings with about 350 to 500 pages each. 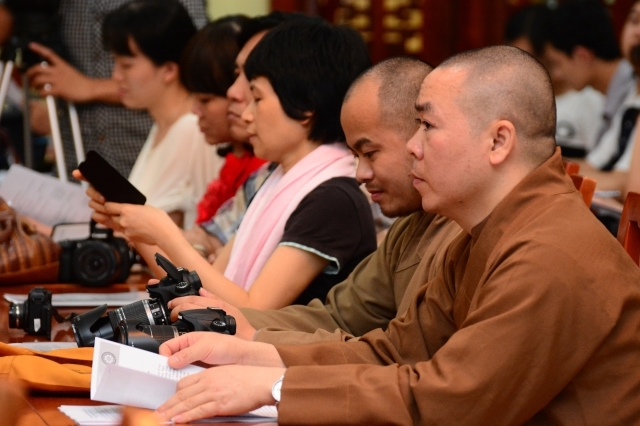 International Buddhist movies festival: Up till now, the organizing committee has received more than 100 movies from 95 countries, including: short movies, cartoons, documentary and historical films. 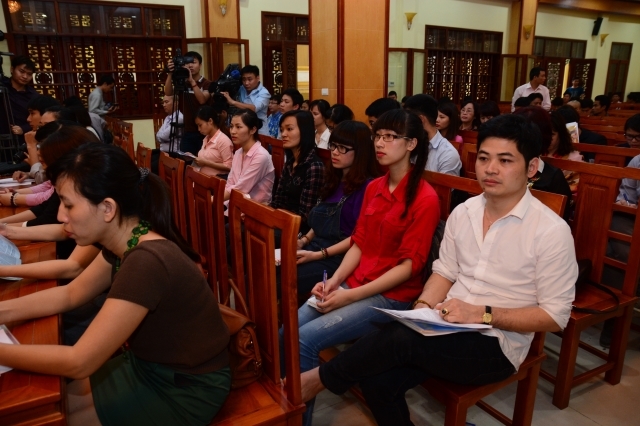 Five movies from each category will be selected and awarded. 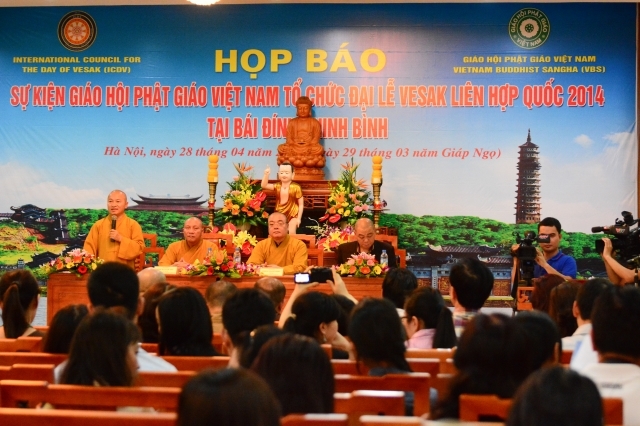 Contemporary Buddhist Arts Exhibition with more than 100 art works of Vietnamese and foreign artists. 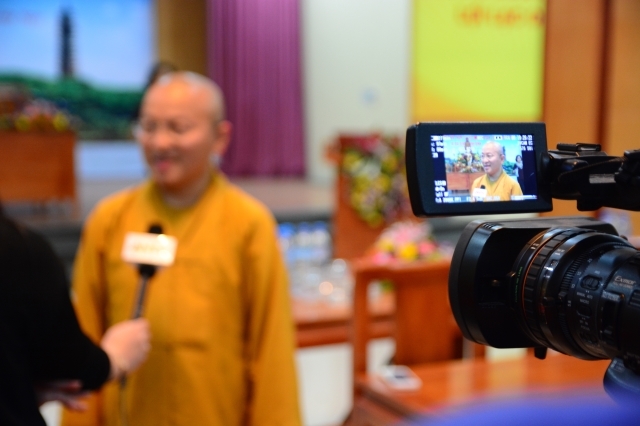 A movie show to present the film “The life of the Sakya Muni Buddha” produced by hollywood, Indian and Thai actors and actresses. 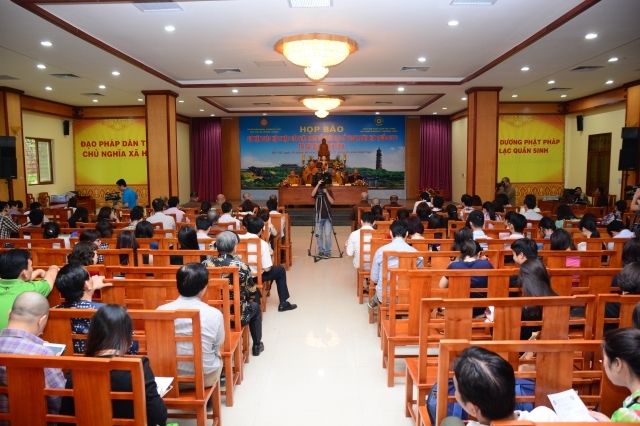 Two evening cultural shows at Avalokitesvara Shrine of Bai Dinh Pagoda. 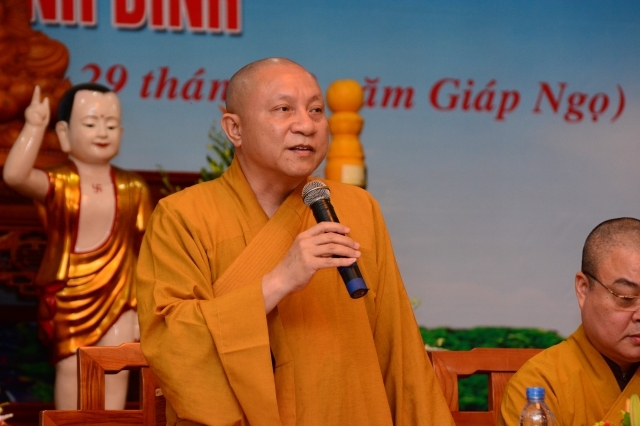 The show on May 7 will present Chinese, Thai, Sri Lankan, Vietnamese Buddhist culture dances… The show on May 8 will be on the topic “Sacred Vesak” with 16 performances divided into 2 parts: The Great Buddha; Buddhism and the Ethnic. 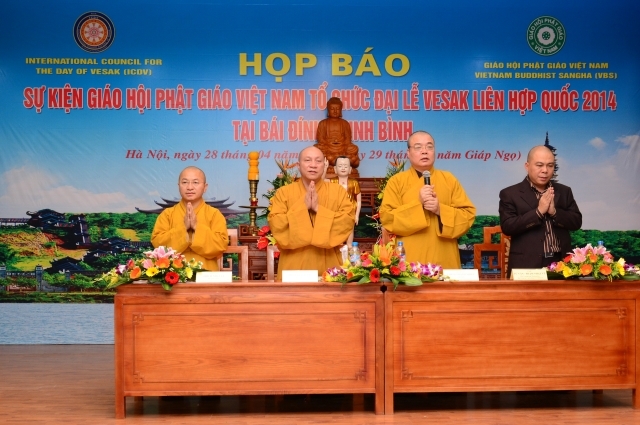 In the past 80 years, Vietnamese Buddhist culture has produced more than 8,000 valuable art works of all categories which have been loved by Vietnamese Buddhist followers. 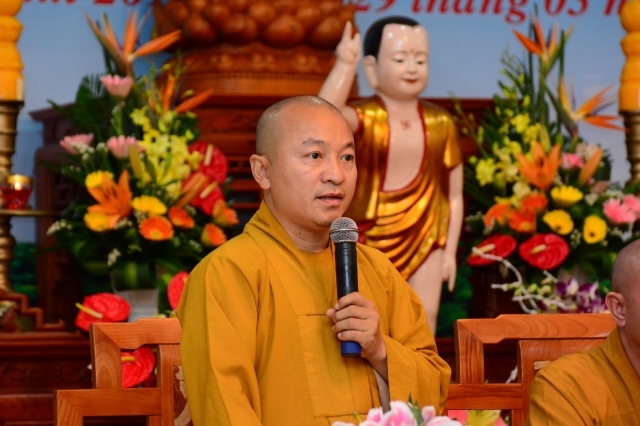 Buddhist worship activities including Buddha bathing ceremony. 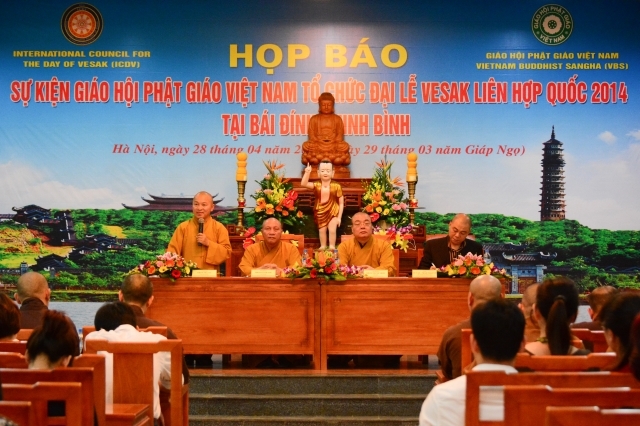 For the first time in 11 years of UNDV at Thailand and Vietnam, this year, the VBS decided to celebrate the Day of Vesak according to traditional Vietnamese Buddhism. 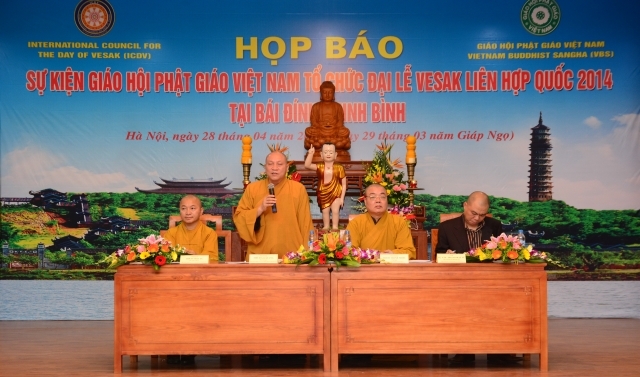 A Buddha shower tower will be opened from May 7 to 11 for Buddhists from across the country attending the celebration to experience the sanctity of this activity. 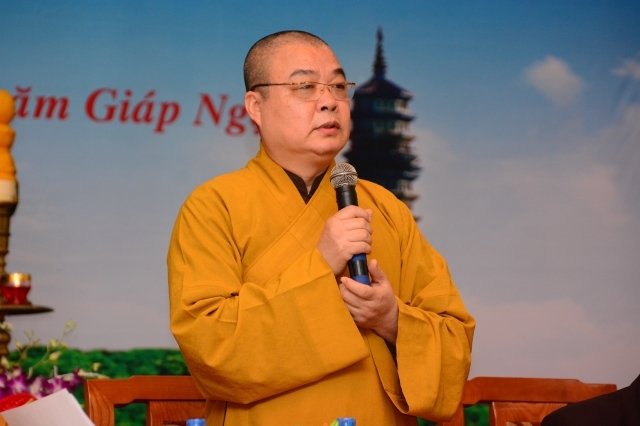 A huge tower will be set up to offer to the Buddha. 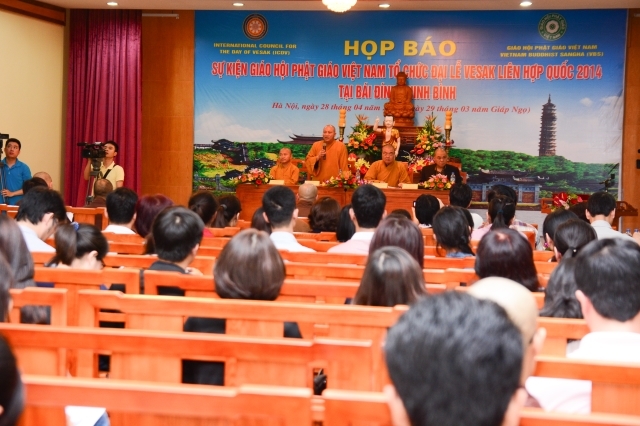 This is also the place for chanting and traditional worship activities as well as a praying activity for world peace at Sakya Temple of Bai Dinh Pagoda. 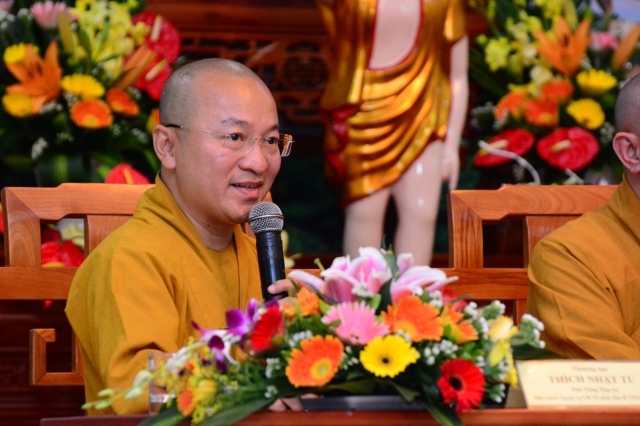 The candles will be joined together to make 8-petal lotus in the meaning of the contribution of the Eightfold Path to the true happiness in the life of each person, family and the society. 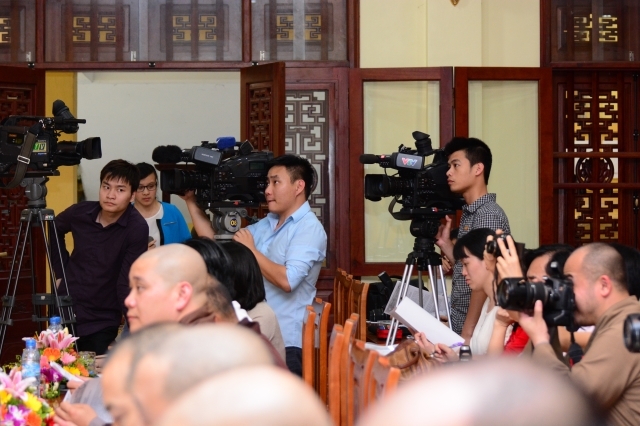 Journalists then ask several questions about the preparation to welcome representatives from across the country as well as from foreign countries; security issues during the UNDV 2014; financial management of the organizing committee in the context of the general difficult economic situation; the constrution progress of the international conference hall with 3500 people in capacity; price issues concerning the lodging, catering, travelling services; assitance for non-local journalists, … All questions were aswered completely by the four chairs of the meeting. 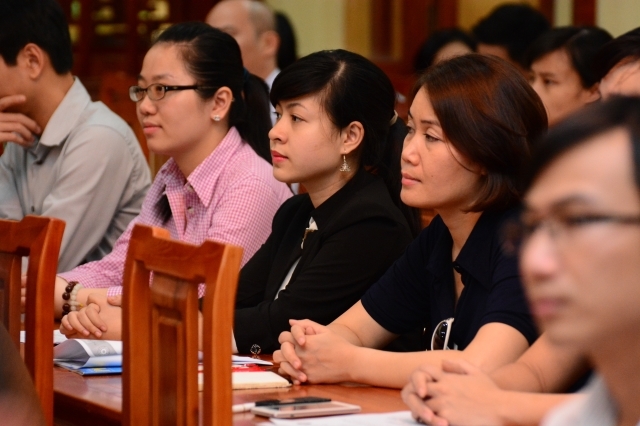 In short: the organizing council of the UNDV 2014 has had several meetings with the Vietnamese Fatherland Front, Ministry of Foreign Affairs, Ministry of Police, Governmental council for religions, … and strongly believe in the support and assistance from these agents on the international diplomacy and secutiry issues of the UNDV. 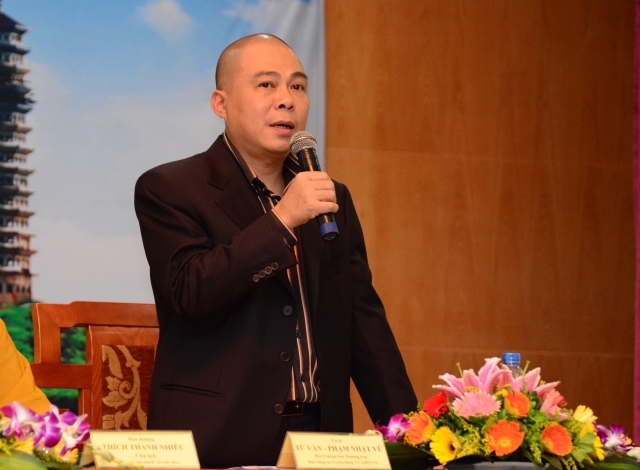 In addition to the budget for building the international conference hall and other infrastructures for the UNDV from Xuan Truong Company, the cost for the event may require another 70 to 80 billions VND as estimated by the organinzing committee. 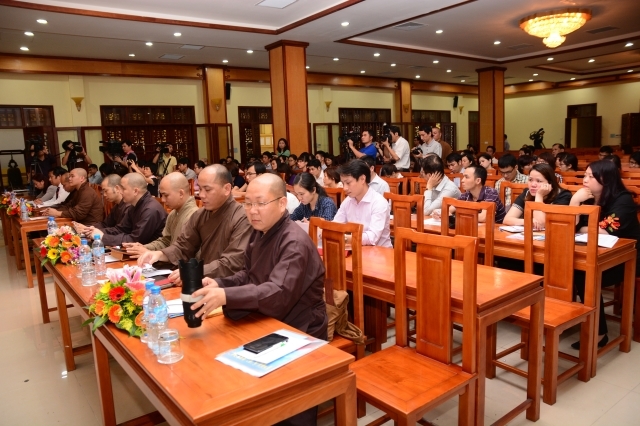 The organizing committee has called for the contribution of the Executive Committee of provinces, cities, districts and towns, as well as domestic enterprises. 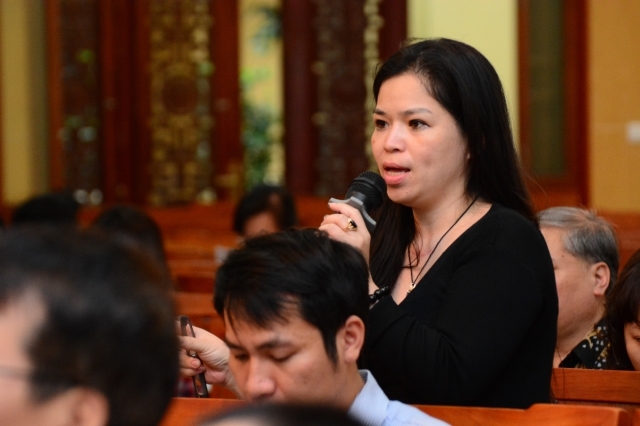 Several specialized committees have been created to serve the event. 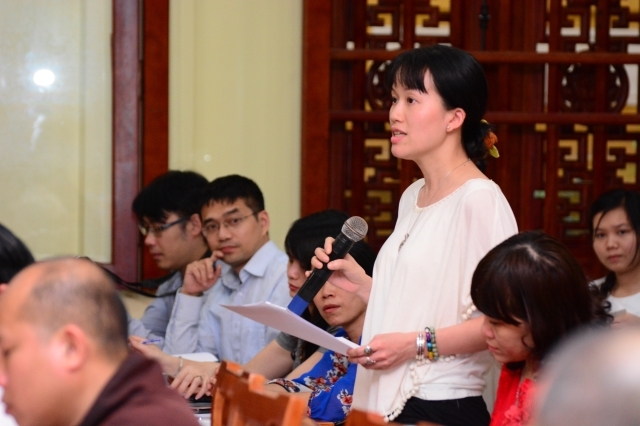 These specialized committees are now finishing their final stages of preparation to meet the deadline of May 5. 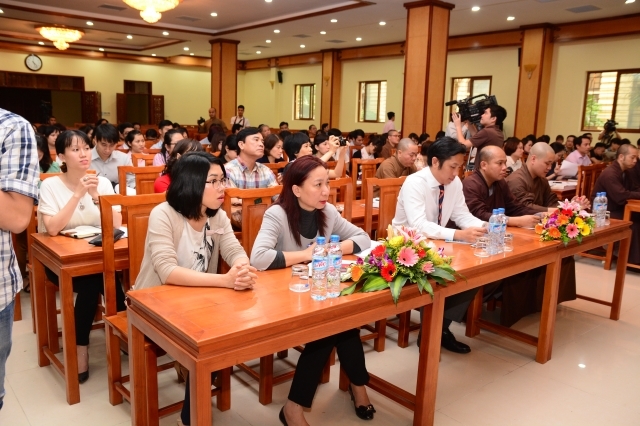 The organizing committee has also asked the Executive Committee of Ninh Binh province to work with local traveling, catering and lodging services… Mr. Tu Van – Pham Nhat Vu also reported that the Information Section of the VBS would set up a press office to update the information and photos of the UNDV and to assist non-local journalists. 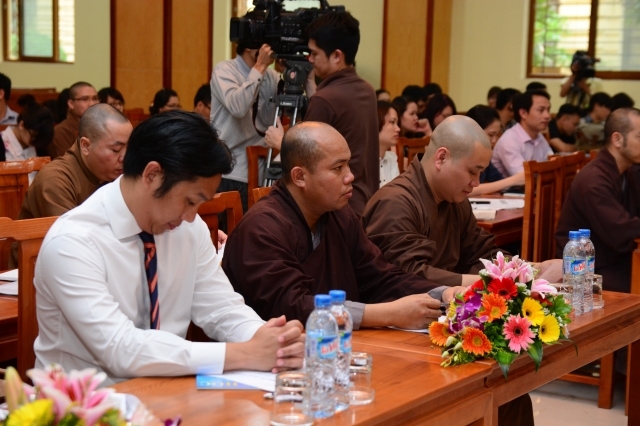 In addition to the traveling, catering and lodging services provided to the official and unofficial representatives, the organizing committee will also serve 8000 lunches and 8000 dinners each day for people attending and assisting the UNDV 2014. 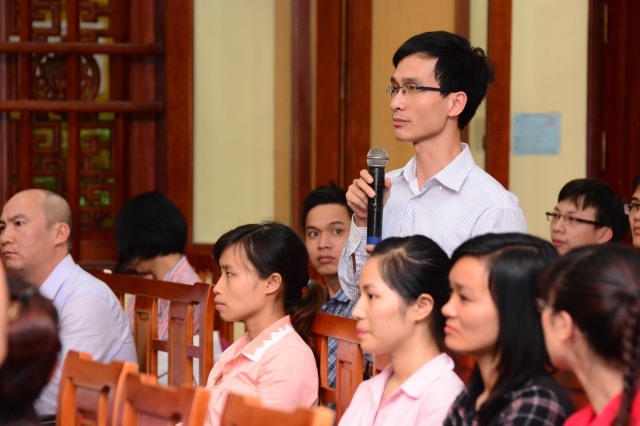 The meeting ends at 5:15 PM in joy, proud, and belief for the second UNDV celebrated in Vietnam to be a great success.